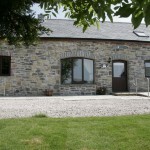 The Coach House is a spacious barn conversion which can comfortably accommodate 8 people(+ sofa bed + cot.) Similar in style to The Granary Cottage, it has whitewashed walls, solid wood and flagstone flooring with under floor heating, and exposed beams. 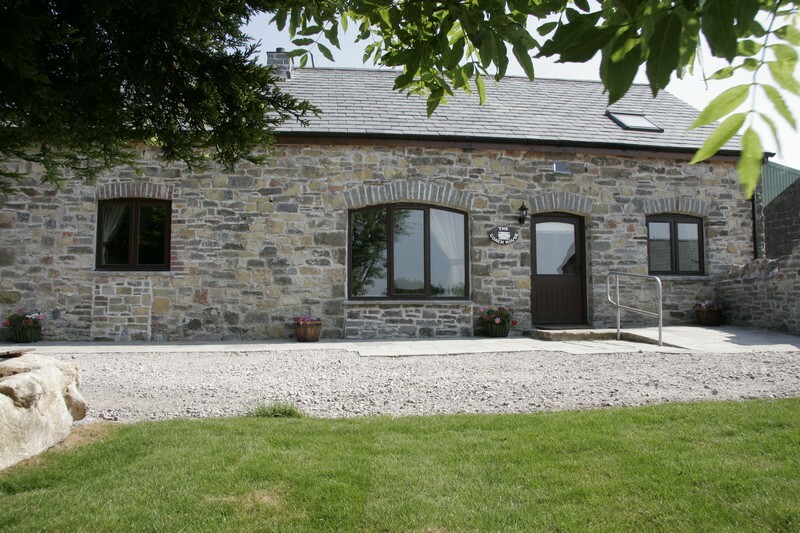 Standing in its own grounds with ample parking space the cottage has a pleasant patio, garden and barbecue area. There is also a utility room with washing machine, tumble drier extra fridge and freezer. Secure storage is available here for golf clubs or bikes. As you enter The Coach House you step into a small hallway, which leads directly into the open plan living/kitchen area. The ground floor is all on one level with no steps. The living area is open to the high ceiling with exposed beams and an attractive gallery linking the upstairs rooms. The living area has comfortable sofas and a wood-burning fire. The kitchen is well equipped with a dining table seating up to eight. The gallery has a sofa bed and a comfy chair and partially overlooks the living area below. All four individually styled bedrooms have en-suite facilities with two bedrooms and bathrooms downstairs and two upstairs. The ground floor double bedroom and bathroom are suitable for visitors with mobility difficulties. This bathroom has a level shower with seat and grab rails. (Please click here for the full access statement.) The other ground floor bedroom has two single beds. Upstairs you will find another spacious double bedroom with full size wooden cot and a twin bedroom. The well-equipped Coach House has been converted to a high standard and is the ideal place for a large family or group of friends to enjoy a relaxing stay. Upstairs En Suite Double With Cot. Ground Floor En Suite Double.